Listening to bassist/composer Bruce Gertz is one of life’s simple pleasures, without a doubt. So, I was honored to check out...Blue Cube—a quartet outing featuring saxophonist Jerry Bergonzi, pianist Tim Ray, and drummer George Schuller (who is also the son of [the late] conductor and music educator Gunther Schuller). The opening, Bergonzi-penned title track, “Blue Cube,” is a true work of beauty. Bruce adds light, depth and an amazing arco-to-pizzicato solo that I only wish lasted twice as long. “Bass First, Face First” is a completely improvised piece that follows the groundwork laid by Bruce’s introduction. Kudos to drummer George Schuller for his ability to add ferocity through a feather-light attack, which adds a great touch to the music. “A Conversation We Had” is a wonderful example of the play between long-time friends in good company. In addition, Tim Ray’s gliding solo captures this moment in time masterfully. “Aperture” is the hardest-swinging tune on this delightful outing—as the melodic composition serves as a new outfit for the Arthur Schwartz/Howard Dietz standard “Alone Together.” “Squeeze” combines the best elements of Ellington’s “Squeeze Me, But Don’t Tease Me” and (the Great) Scott LaFaro’s “Gloria’s Step” that results in a loping, easy dance that belies the skill-set of this sly quartet. Several times while listening, my head turned to contemplate what was being played and how the musicians were responding to the matter. “The Heart of a Champion” is an inspirational piece that calls the listener into the accountability of perseverance. This is the “best” played tune from Blue Cube, and Bruce lays in a jaw-dropping solo. The interplay between these four great musicians is absolutely first rate. “So Lie” is a play on Mal Waldron’s “Soul Eyes,” and the composition is a political statement about our current national state of affairs. Nicely done, Bruce! Finally, “Trajectory” is a brilliant and, at times, dark waltz that is served well by the quartet’s makeup. 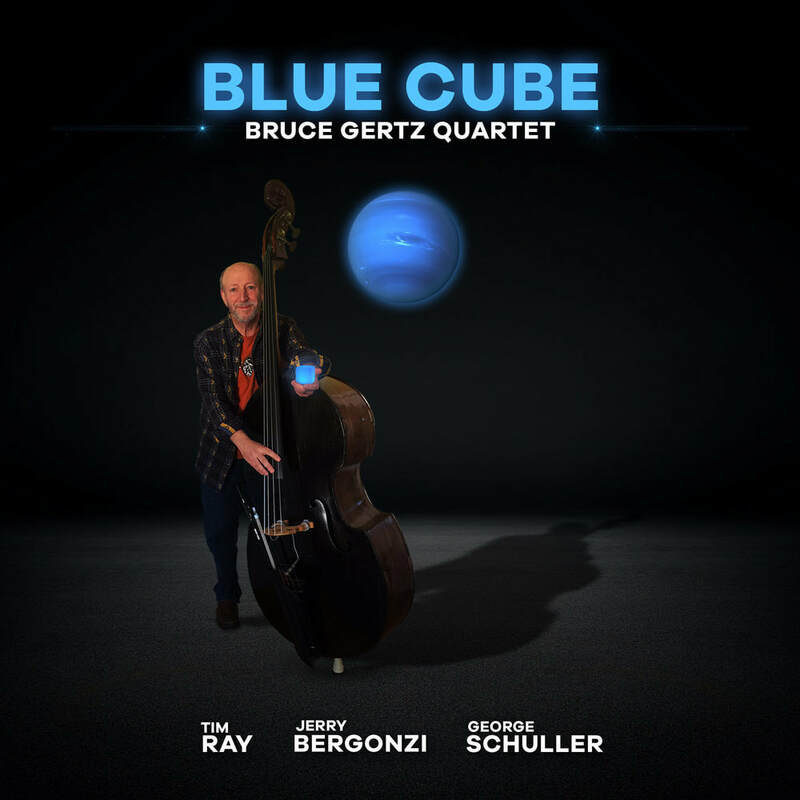 Throughout Blue Cube, Bruce’s tone, musicality and ability is stunning, and as the composer of seven of the eight beautiful tunes on this release, his heart, soul, and passion are truly heard. This group needs to be seen as well as heard, and Blue Cube is one of the most well presented collections of music I have heard in a long time.